Bits & Scraps Of My Life: Hey mom? Mommy? Mama?? MOMMMMM?? MOMMYYYYYY?? Hey mom? Mommy? Mama?? MOMMMMM?? MOMMYYYYYY?? Right off the bat I am gonna tell ya............I am havin a stinky kinda night!!! I have sat here for about an hour working on this blog post and somehow hit the delete button.......POOOF!! So, rather that even attempt to give you a recap, I am just gonna share my projects. Cuz I'm mad.....lol. I'll update you on life as I know it tomorrow......surely I will stop swearing by then!!!! First up.....I did a LO!! Yup!! GO ME!!! I had a pretty amusing story about this photo Of Jesse.......but POOOF!!! Gone!! Grrrrrrr!!!!!! I used Echo Parks A Walk In The Park. I heart Echo Park!! 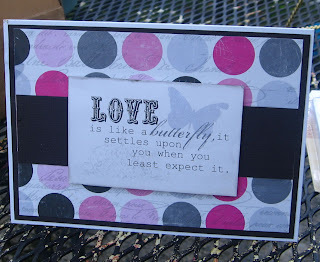 I heart the banner stickers, the tree patterned paper, flowers, kite....I heart it all!!! I had to mix and match the Jillibean corrugated alphas for the title but I like how it worked out. Bazzill basic base and black strip, everything is from Echo Park (did I tell ya I heart Echo Park???) Be Mine. 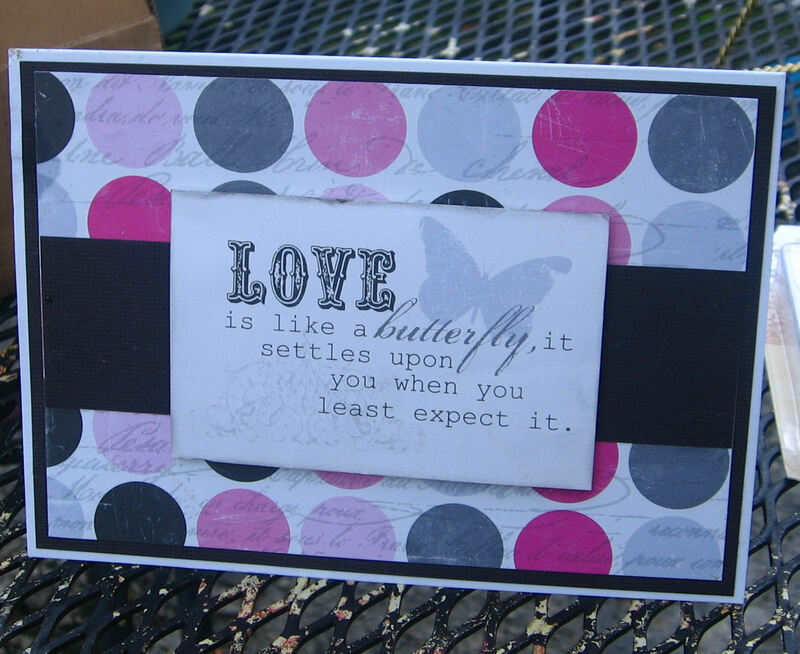 Also sharing at 365 cards keep it simple. So there ya have it...short and sweet....sorta. Thanks for stopping by and commenting! Y'all are super!!!! Love your LO. It's really beautiful. Love the embllies and colors you used. Thanks for stopping by my place. Have a great day! Thank you for joining us at Cupcake Craft this week ! Your layout is fab ! Love the colours and the embellies ! Good luck ! Bless your heart Tina...I hate when that happens!!! Ask me how I know...LOL!!!! 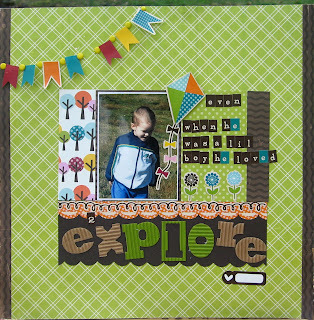 Love the scrap page--green is my fav. Also, I love Echo Park and need to get back over to Hobby Lobby and snag some. They have Walk in the Park and another line...Home Sweet Home? or something like that for 9.99 and with a 40% off this week...it's a deal. Great card too! Keep 'em coming!